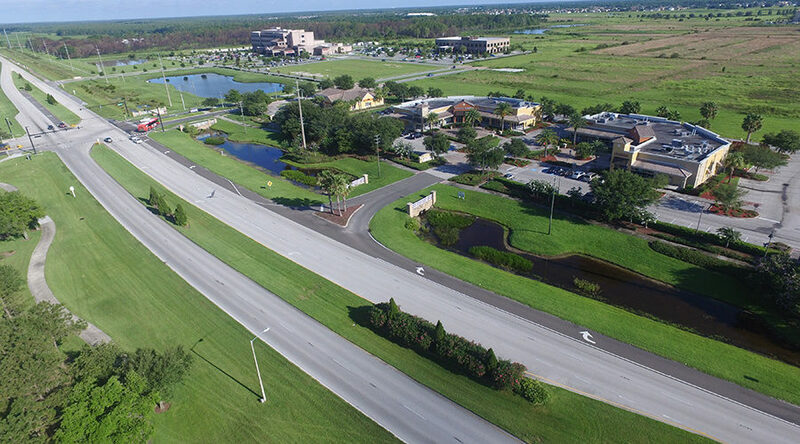 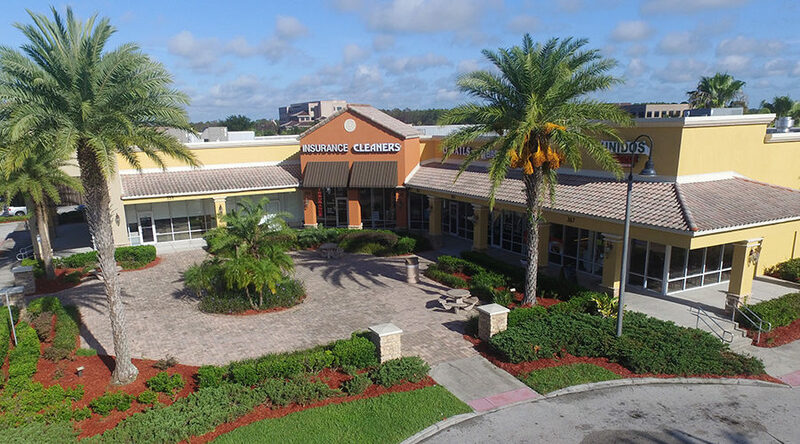 Located on the NW corner of Cypress Parkway and Marigold Ave, this busy little center sits adjacent to the newly constructed Poinciana Medical Center and across from Solivita – a 4,300-acre 55+ community with 7,000+ residents. 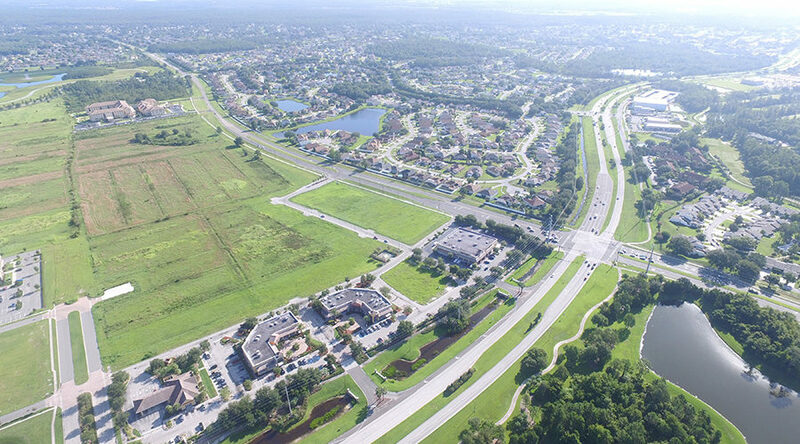 The center also sits at one of the access points for the new Poinciana Parkway, which has helped to alleviate traffic and provide access to the major highways. 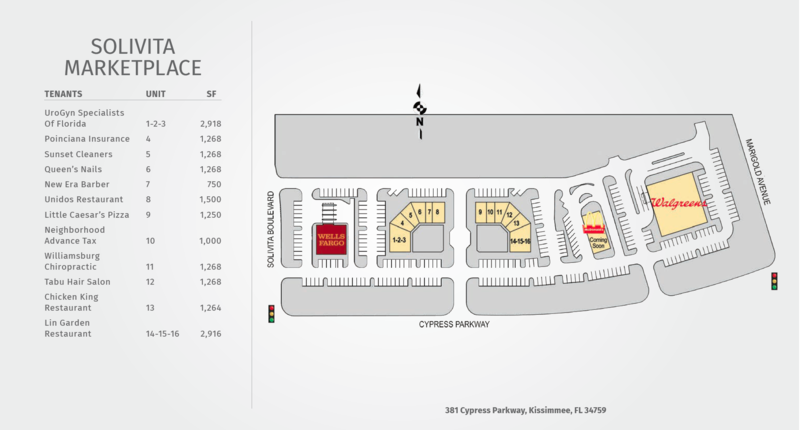 Tenants at Solivita Marketplace benefit from the combined daily traffic counts of 60,000+ vehicles per day.